Dark garnet black color. Exotic aromas and flavors of cinnamon orange tisane, bramble, and cherry licorice with a round, bright, fruity light-to-medium body and a smooth, interesting, medium-length finish that presents notes of sundried tomato, pickled red pepper, juicy red fruits, and mocha latte with well-integrated tannins and moderate oak flavor. A light, plush and easy-drinking red blend. 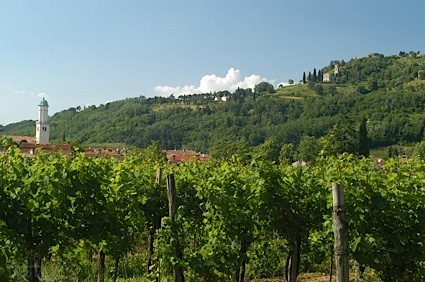 Bottom Line: A light, plush and easy-drinking red blend. 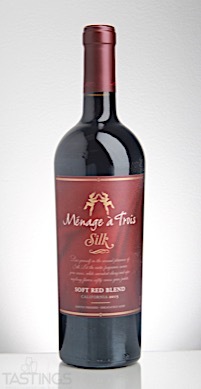 Ménage à Trois 2015 Silk Soft Red Blend, California rating was calculated by tastings.com to be 88 points out of 100 on 8/8/2017. Please note that MSRP may have changed since the date of our review.